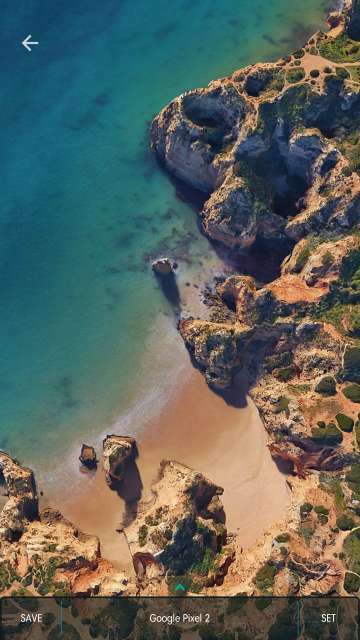 Wallpaper feature is one of the most personalizable aspects of any smartphone. Wouldn’t you apply a fresh coat of paint or paint a scenery or art on your room’s walls to make it attractive and stand out?. The same way a wallpaper makes your smartphone screen vibrant and attractive. However, vibrancy level depends on the display technology used and its resolution. Now, speaking a little about display technology there are two types namely AMOLED and LCD. Both of the technology has its advantages and disadvantages. Although AMOLED is my favorite and most if not all prefer it over LCD as it is more vibrant, has infinite contrast ratio for deeper blacks which in turn saves power as the pixels switch off when a black background is displayed. Now let’s come to the main point of this article. 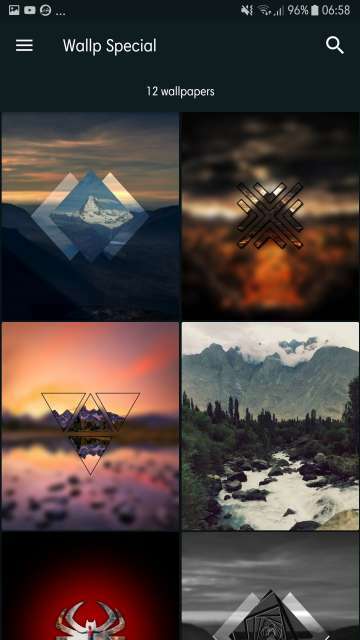 I have an app for all you Droidviewers out there that aims to bring stock wallpapers from phones such as Samsung, Huawei, LG and others to any android device. 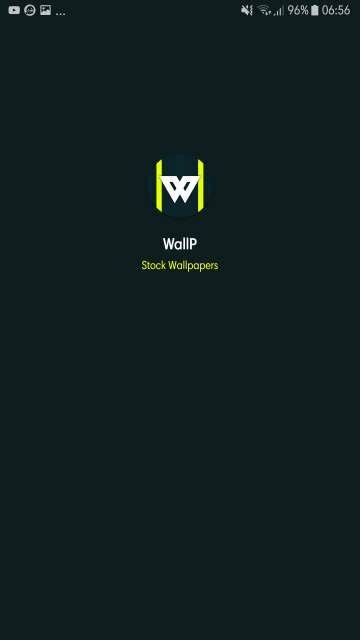 The app goes by the name Wallp – Stock HD Wallpapers. All said, let’s dive straight into the screenshots to take a look at the app. 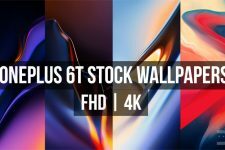 Welcome to Wallp – Stock HD Wallpapers. This is the splash screen shown when the app is launched. 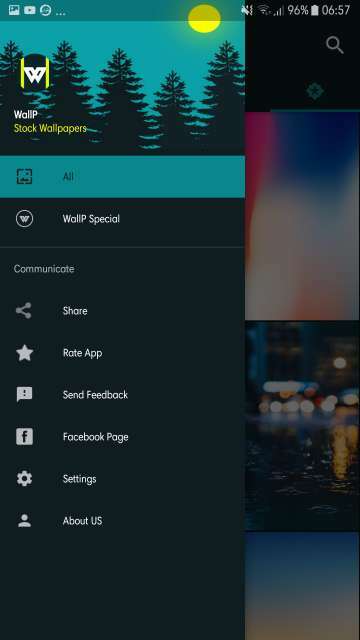 The main screen of Wallp. Four tabs are present on the main screen. They are Category, shuffle, Recent and Popular. The third tab that is the recent tab is shown in the above screenshot. 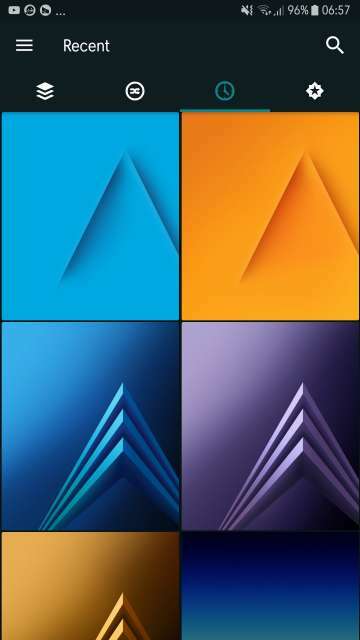 Also, notice the wallpapers from galaxy A8 (2018) which was unveiled a couple of days ago. Category tab. This is the first tab from the left. 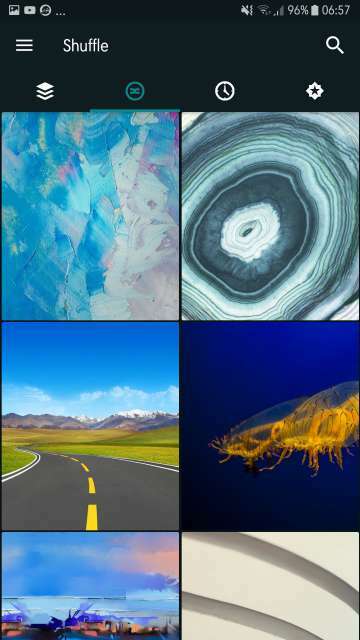 It provides you with the ability to select wallpapers of various phone makers. Shuffle tab. 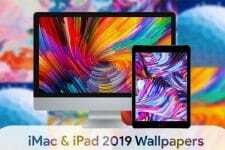 This tab shuffles wallpapers available for download. The popular tab. This is the last tab. It consists of wallpapers that are highly popular. Popularity is evident. Just look at the first 4 wallpapers in the screenshot. 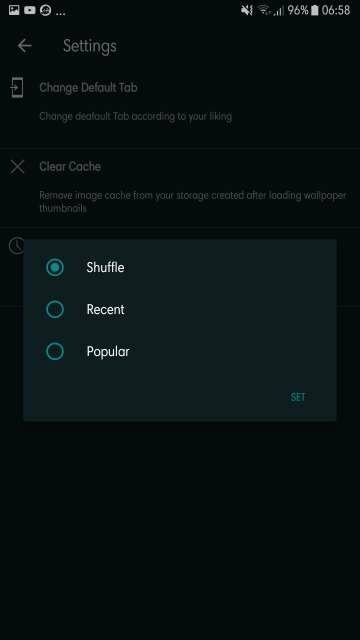 Tap the three-line button to access settings and special Wallp wallpapers collection. Refer the next screenshot. Tap on any wallpaper of your choice to download or save them. Refer the screenshot below. Save or set a wallpaper. Tap the three-line button to bring up the menu and then tap settings. Settings. 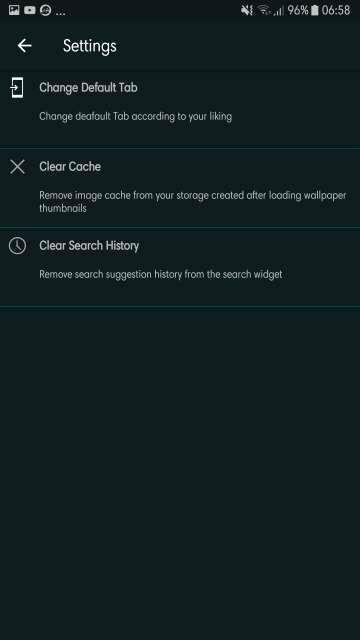 Available options include changing the default tab that would be shown upon app launch, clear cache and search history. Select any one of the tabs to launch by default upon app launch. 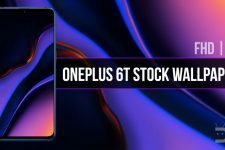 This is a great app for those wanting to get notified when a particular phone’s stock wallpapers are available for download. You will receive a notification for the same. 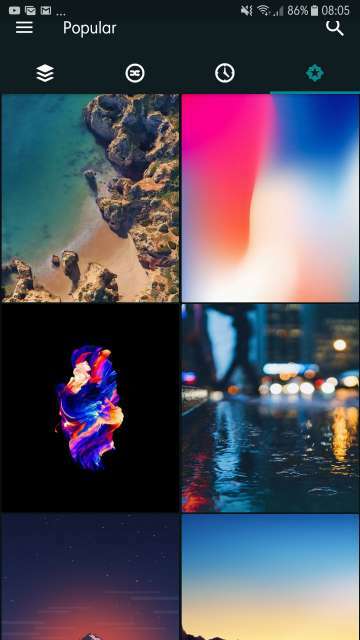 So that’s it, folks, on a brief overview of a neat little stock high definition wallpapers from various phone manufacturers. Feel free to chime in the comments on your take and experience with this simple app. 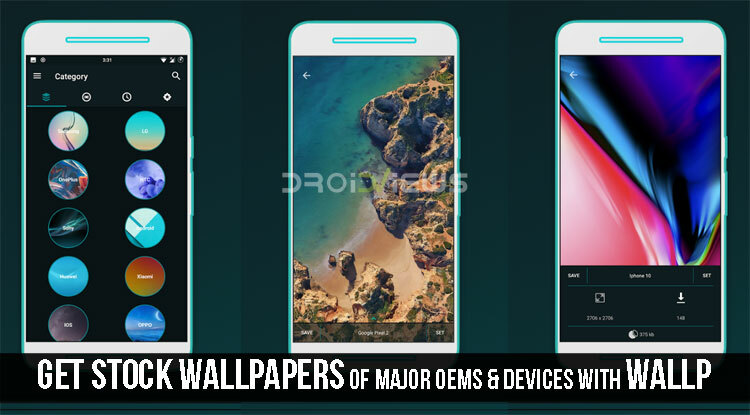 Download Wallp – Stock HD Wallpapers app via the Google Play Store link given below.